With the NBA playoffs just around the corner, I thought it would be great to highlight a commercial from the NBA to get all the fans excited. 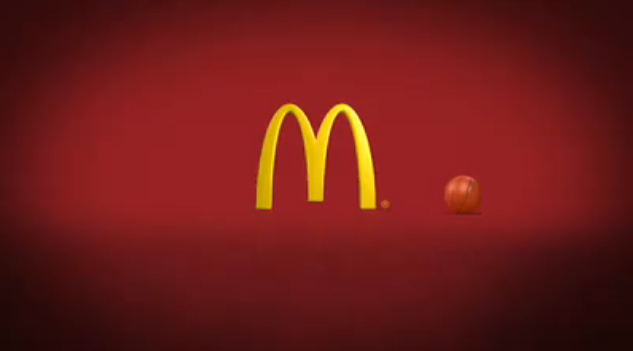 In this relatively old commercial, you'll see LeBron James and Dwight Howard agree to play each other for the coveted McDonalds meal. After all the blood, sweat, and tears, the camera pans over to NBA legend, Larry Bird, enjoying the meal that the new young superstars are playing for. In what I originally thought was just a brief snapshot of young vs. old, well it sort of is, but it was brought to my attention by another one of our fans, Chris, that the commercial was actually a copycat of another McDonald's commercial featuring Larry Bird and Michael Jordan. So...a spot that was just ok has now turned into something a little more interesting and iconic and well worth sharing.